...in the last year I've been involved in the development of an alternative theory that turns the cosmic history topsy-turvy. All the events that created the important features of our universe occur in a different order, by different physics, at different times, over different time scalesand yet this model seems capable of reproducing all of the successful predictions of the consensus picture with the same exquisite detail. 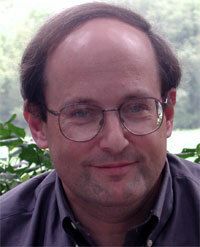 PAUL STEINHARDT is the Albert Einstein Professor in Science and on the faculty of both the Departments of Physics and Astrophysical Sciences at Princeton University. He is one of the leading theorists responsible for inflationary theory. He constructed the first workable model of inflation and the theory of how inflation could produce seeds for galaxy formation. He was also among the first to show evidence for dark energy and cosmic acceleration, introducing the term "quintessence" to refer to dynamical forms of dark energy. With Neil Turok he has pioneered mathematical and computational techniques which decisively disproved rival theories of structure formation such as cosmic strings. He made leading contributions to inflationary theory and to our understanding of the origin of the matter-antimatter asymmetry in the Universe. Hence, the authors not only witnessed but also led firsthand the revolutionary developments in the standard cosmological model caused by the fusion of particle physics and cosmology in the last 20 years.